We are developing a Housing Strategy, which will address potential housing options and locations in the City. In June 2018 Council resolved to prepare a Housing Strategy, which will address potential housing options and locations as the City continues to grow and help us plan for the needs of the Shellharbour community. The NSW Department of Planning and Environment has also released a Local Housing Strategy Guideline and Template to inform how Councils develop a housing strategy. These represent a best practice approach, which will inform our strategy. Our goal is to ensure that there continues to be a sufficient and appropriate supply of housing. We asked you to provide feedback via a survey that closed on 17 January 2019, which will assist Council in the preparation of the proposed Housing Strategy. In addition, IRIS conducted a phone survey with local residents. The results of these consultations are available in the Document Library. In February 2019, Council appointed PSA Consulting Australia to help deliver the strategy. The next phase of the project will be a community workshop, which will also contribute to the final strategy. We would like to invite you to a community workshop, where you can further contribute to the development of the housing strategy. This workshop will be facilitated by consultants from PSA and Council staff. What is a housing strategy? A housing strategy aims to identify an appropriate range of housing types that will meet the needs of a diversity of households. A Housing Strategy informs how we accommodate population growth and change, and provide housing choice for the community in appropriate locations. Our Housing Strategy will need to consider community needs and aspirations, while insuring housing supply can meet demand. It will need to be flexible and responsive to shifts in local housing markets. It will also review appropriate locations throughout our council area for different housing types required to meet residential demand. Why is Council doing a housing strategy? As the City continues to grow, it is essential that Council appropriately plans for the needs and growth of the community. It is important to balance growth, while still preserving the natural environmental qualities of the area that make Shellharbour a great place to live. Where we live and the dwelling types available will form part of the strategic framework that influences how we grow and develop in the future. 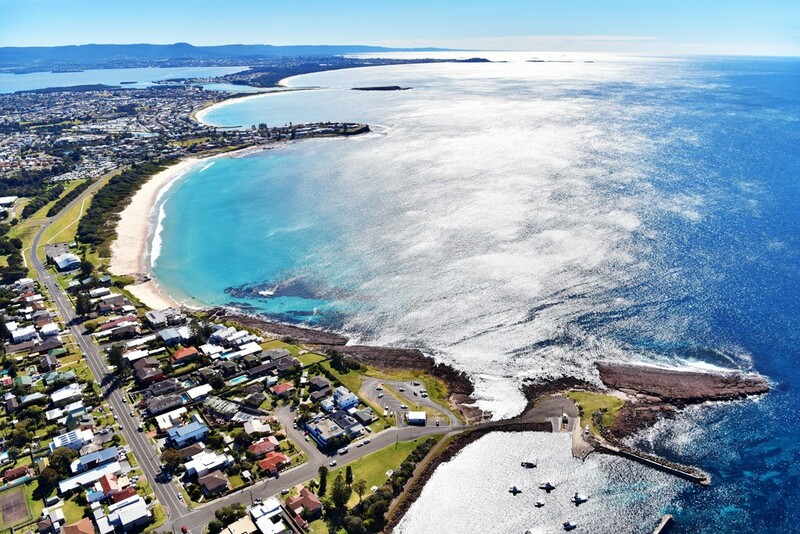 A Housing Strategy may prompt changes that need to be made to Council’s strategic planning documents including the Shellharbour Local Environmental Plan (LEP) 2013 and the Shellharbour Development Control Plan (DCP). Part of Council’s ongoing strategic planning work is to monitor and review the LEP and DCP. The Housing Strategy will enable Council to make informed decisions about changes to these documents in relation to residential development. Will there be further opportunity to participate in the housing strategy? Yes, the community is invited to attend a workshop on Monday 15 April 2019 at the Shellharbour Civic Centre Auditorium. For more details, see the Community Workshop tab. The draft housing strategy is expected to be available for public comment in late June 2019. House on its own block: means a traditional detached dwelling on its own block of land. Freestanding villa: means a villa which is single storey, has its own small yard and is separated from other dwellings by less than 0.5 metres. Attached townhouse: means a townhouse, which is two storeys, that has its own small yard and is attached to one or more neighbouring dwellings. Attached Villa: means an attached villa, which is single store that has its own small yard and is attached to one or more dwellings. Terrace: means a two storey dwelling with its own small yard that is attached to other dwelling(s) and has its own street frontage. Apartment in large complex: means an apartment with no private yard area in an apartment building that has a shared, common entrance foyer or stairwell and is higher than two levels or contain more than four dwellings. Dual occupancy one on top of the other: means a ground level dwelling that has access to a small yard area, with another separate dwelling on the top level that has a balcony space, but no yard area. 2 level walk up apartment: means a building containing three or four apartments (one or two apartments on each floor). The ground level dwelling(s) have access to a small yard area. The top level dwelling(s) have a balcony but no yard area. Caravan: means a caravan that is located on property and used as the primary residence of the occupants. House or flat attached to a shop/business: means a house or flat that is attached to a shop, office, factory or any other non-residential structure. See the FAQs for dwelling definitions. How many people live in the residence? Are there any other comments you would like to make regarding housing in Shellharbour City?